We have labradoodle puppies available to go home now! 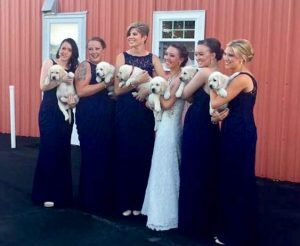 Check out the available labradoodles page for more pictures and info and Call Pat at 765-993-3218 to make an appointment to see the available puppies! 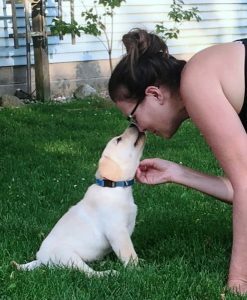 Yellow English Labrador puppies going home late 2019! Check out the available labs page for info and pictures! 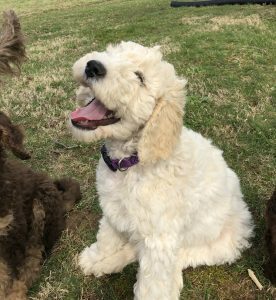 Meadow Park Labradoodles and Labradors, LLC is a quality breeder of English Labs & Australian multi-gen labradoodles (Tegan Park & Rutland Manor lines) & American multi-gen Labradoodles (used to bring in new lines). We specialize in standard and large standard labradoodle pups in all colors including red and parti, and our English labs in yellow, black & chocolate. 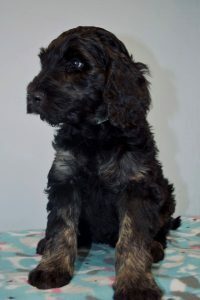 We occasionally have medium labradoodle puppies available. Our goal is to raise allergy friendly labradoodles and our English labs for therapy, service & assistance dogs and wonderful family companions. All of our breeding stock is tested genetically, Hips (OFA or Penn Hip), elbows (OFA), Thyroid, CBC, eyes and heart. We breed for health, structure and temperament first, then for coat, size & color. After health and proper structure, temperament of the dog is of the utmost importance. 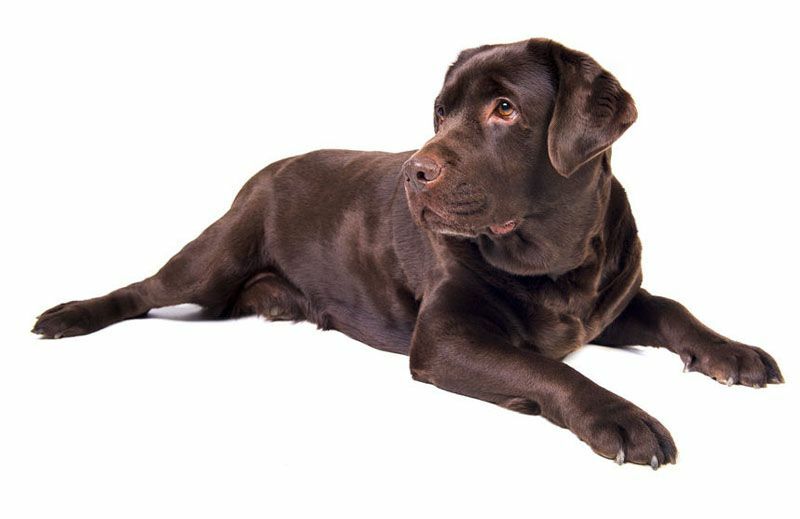 Our English labs have been carefully selected from all over the world for the best breeding stock for health, temperament and structure! All of our lab parents are either therapy or service dogs and have been fully health tested for hips, elbows eyes, and full genetic disease panels. The labradoodle has the heart of a labrador and the smarts of a poodle, all in a beautiful allergy & asthma friendly package! 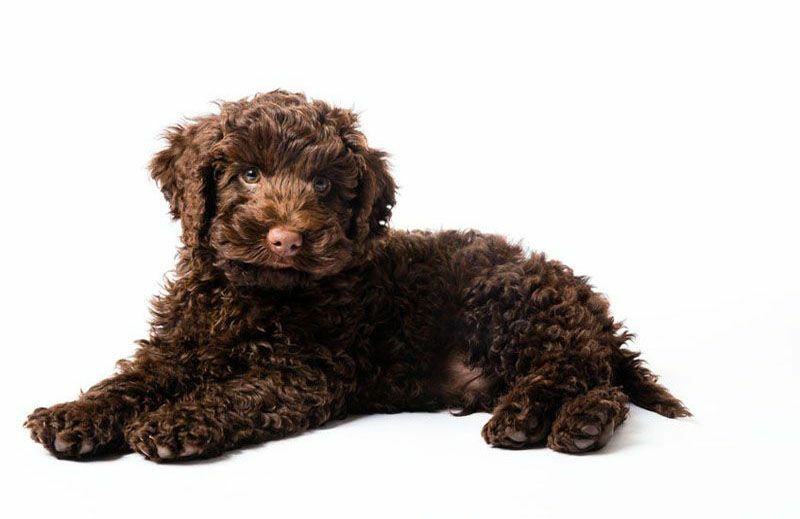 Initially bred in the 1980s in Australia to provide assistance and guide dogs for people with dog allergies, the Australian Labradoodle quickly became a beloved family pet that offers the best of both worlds: a wonderful family oriented people pleaser, highly intelligent, with low to no shedding and no doggie odor. Our puppies are easily trained for just about anything you want them to do. They can be trained for guide dogs, service dogs, assistance dogs, therapy dogs, diabetic alert dogs, companions for kids with autism, hunting, swimming, running, fetch, flyball, obedience, rally obedience, or a 4-H project for your child. They love agility and excell in agility and obedience classes. The Labradoodle also makes the most awesome family companion, a calm loving snuggle bug in the house and ready to romp and play when you go outside. They do well with people of all ages including babies, kids, adults, older people and even the physically and mentally challenged. They get along great with other dogs, cats and many other pets. 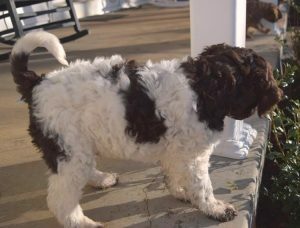 The Australian Labradoodle dog is perfect for people who suffer from asthma (nearly 100% success) and allergies (nearly 95% success)., and for people just wanting less mess and odor in their homes. All of our dogs live inside with us or in a guardian home where they get individual love and attention and are a cherished family pet. If you are interested in being a guardian home for one of our breeding dogs call Pat at 765-993-3218.